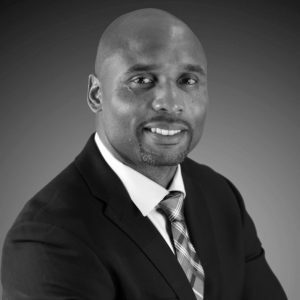 As a renowned professional speaker, author and 10 year veteran of the NFL, Donovin Darius has rose to national prominence by delivering passionate messages that show people how to achieve greatness, believe in themselves and maximize their potential. Born one of five children in low-income Camden, New Jersey, Donovin grew up with a sense of purpose because of the sacrifices and determination he witnessed in his mother Roberta Darius. Despite being ridiculed as a child for his lack of materialism or his big ideas, Donovin heard his call to be different at a very young age. Because of this call he then set out to separate himself and passionately pursue a life of motivation and impact. Donovin had to struggle and persevere through many challenges to aspire to the level that some would believe to be impossible. Despite these beginnings he developed a persistence and determination at a young age to make an impact in the life of anyone he meets. His passion to serve others and continue to pursue greatness led him to becoming the guardian of his two younger brothers while in college, play 10 successful years in the NFL while developing city-wide corporate and community events that empowered others to maximize their potential. Donovin has since risen from the gridiron of the NFL to winning a Sports Emmy Award. He went from being a community center participant to founding his own nonprofit organization in Jacksonville, FL. Darius uses his body to develop plans and strategies to using his experiences and mind to mentor and share wisdom with organizations and individuals. Donovin has evolved from speaking in his living room as a child to giving keynote speeches to top organization nationally and internationally and continues to grow. He is determined to help others do the same. The company provides motivational materials, workshops, and personal/professional development programs aimed at individuals, companies, and organizations. Donovin Darius’ work is never complete. He is currently a Motivational and Corporate Speaker, the Director of NFL Legends Community, an NFL Transitions Life Coach, Founder/President of the Donovin Darius Foundation and an author of his highly acclaimed book series entitled Next Level Motivation. These books include strategies and tips on personal development, mental toughness, leadership, team building, athletics, spirituality, relationships, and much more. He’s also the host of his online show called “Donovin Darius Motivational Forum” where he engages viewers with games and principles to take their lives to the next level. Donovin has dedicated his life to understanding and stimulating human potential. Utilizing powe1ful delivery and newly emerging insights, his customized presentations will teach, inspire and channel audiences to new levels of personal achievement and satisfaction. To book Donovin Darius as a keynote speaker, please use the button above.